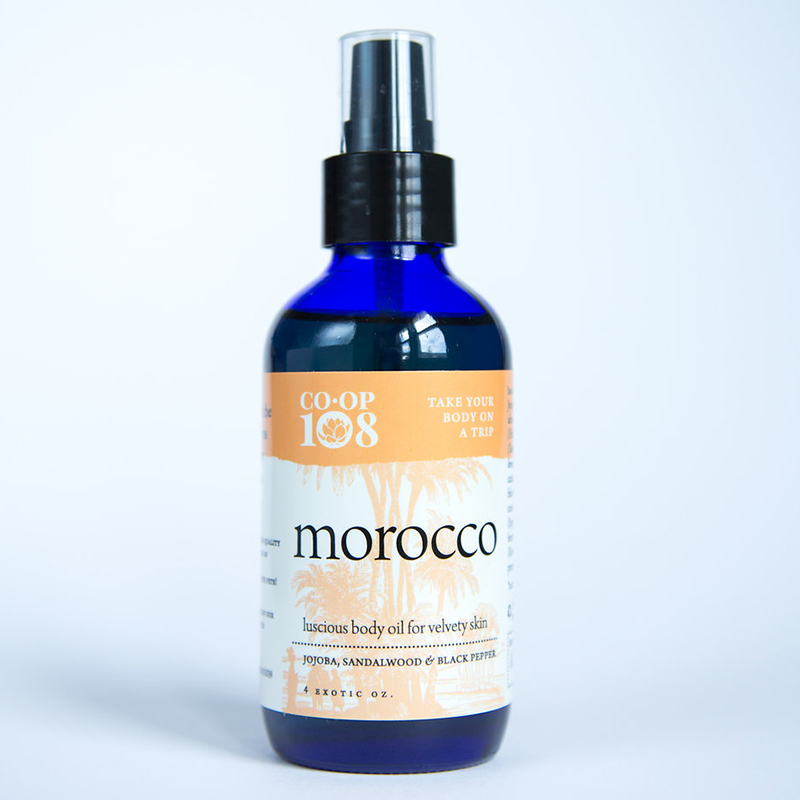 Anoint yourself with the rich spices and lemons that invoke the sultry warmth of Morocco. Contains: *Jojoba oil (Simmondsia chinensis); sweet almond oil (Prunus dulcis); *sunflower oil (Helianthus annus); essential oils of sandalwood (Santalum album), lemon (Citrus limon), black pepper (Piper negrum), cardamom (Elettaria cardamomum), blue tansy (Tanacetum annum), coriander (Coriandrum sativum) & clove (Syzygium aromatica); benzoin (Styrax benzoin); rosemary oil extract (a natural preservative). Take your body on a trip! These luxurious oils have a base of sweet almond, sunflower and jojoba oils to nourish and moisturize your body and are scented with our own blends of 100% pure plant essential oils. Each unique fragrance is crafted to transport your mind and senses to another part of the world, for less than the cost of a plane ticket. As always, our products are made with the highest quality, all-natural ingredients & packed up in an eco-friendly glass bottle. Tested on our friends, not our pets! Review for allergies.